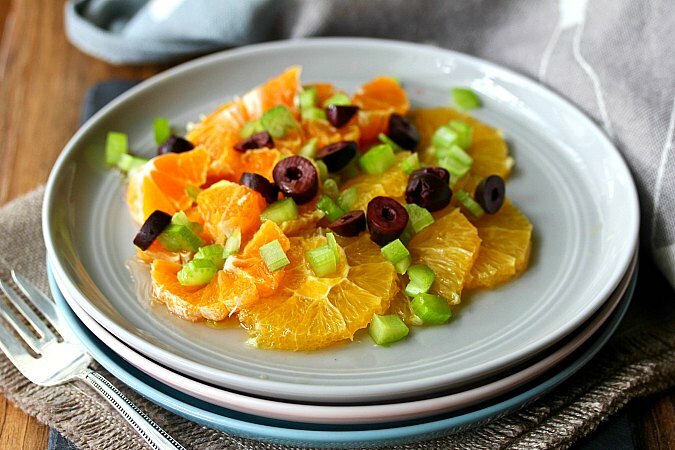 The combination of the citrus, celery, and olives, dressed with olive oil and red wine vinegar, is so unexpectedly refreshing. The salad is so easy to put together too. It's a wonderful combination of sweet, sour, salty, and crunchy. 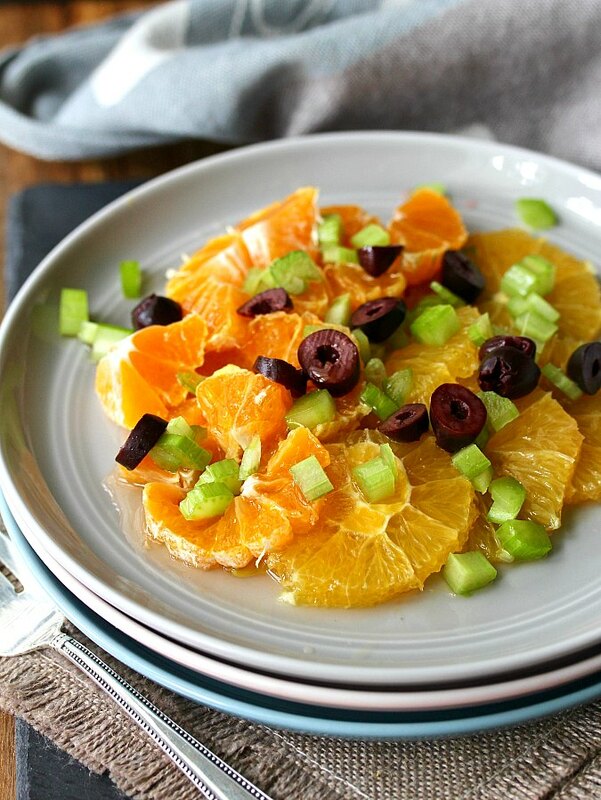 The fresh picked citrus in this salad is super juicy. Combined with the olive oil and vinegar, the oranges and tangelos are so bright. While citrus is the star of this salad, celery is the secret crispy ingredient. Celery is one of those ingredients that we take for granted. For me, it was always one of those vegetables that I ate when I was "on a diet." In fact, when I was in college, we used to speculate as to whether digesting celery consumed more calories than a serving of celery actually contained. For cocktail lovers, one of my favorite celery recipes is this Gin and Celery Tonic. 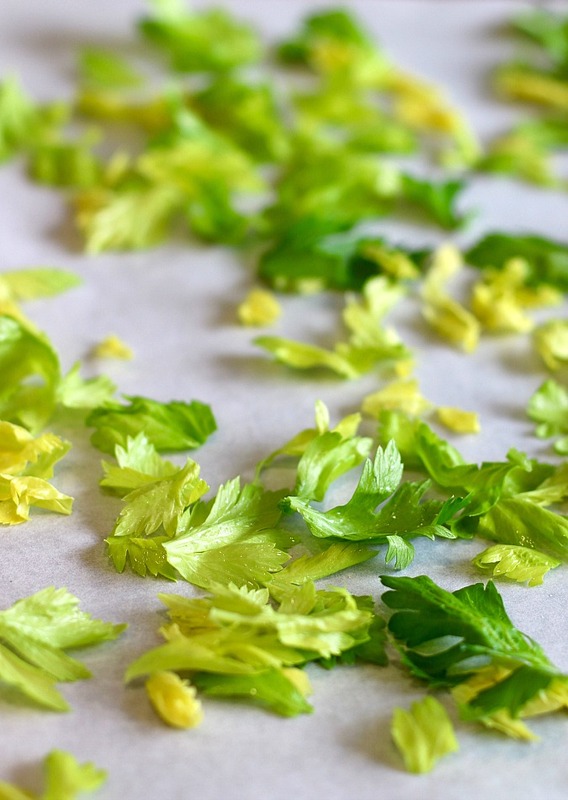 One of my favorite ingredients in celery is the leaves. When I became a grown up, and it was my turn to make Thanksgiving dinner, I turned to my mom's recipe for stuffing. In her recipe, she emphasized that you must include the celery leaves. Celery leaves also are great as a garnish for soups, stews, and other dishes that you might garnish with parsley. The leaves are really flavorful. Did you know that you can dry them in a 275 degree F oven for 20 minutes, crumble them, and mix them with some coarse salt to make celery salt. How cool is that? 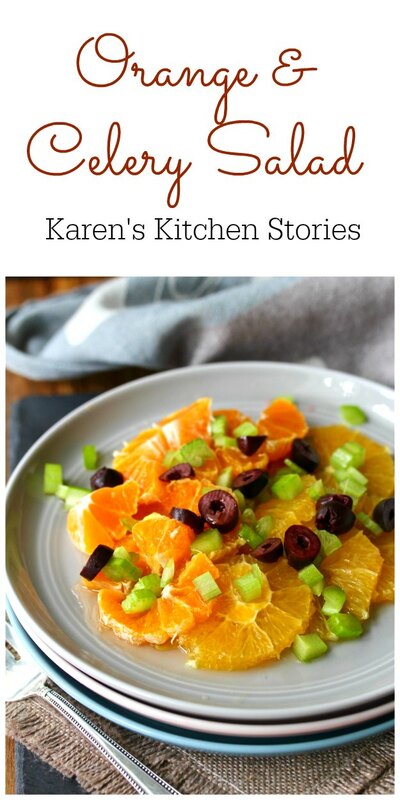 I loved this salad, especially with these juicy oranges and tangelos. I totally love the contrasting colors. If you have access to blood oranges, the presentation would be even more beautiful. Tangerines would be awesome too. Place the oranges and tangelos in a shallow bowl. Add the celery and olives, and drizzle with the olive oil and vinegar. Place the bowl in the refrigerator for at least 2 hours to marinate. So jealous that you can walk into your back yard for fresh picked citrus. This tree is so bountiful that we could almost open a roadside stand! Wow, Karen! This look fantastic. I can't wait to try the celery salt and more. Thanks for joining us. Thanks Cam. I would have never thought of this flavor combo, but it was delicious. So colorful! Looks absolutely delicious. 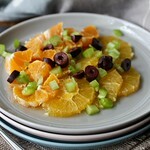 I love citrus salads and this looks like a tasty combination. This salad looks so light and delicious. 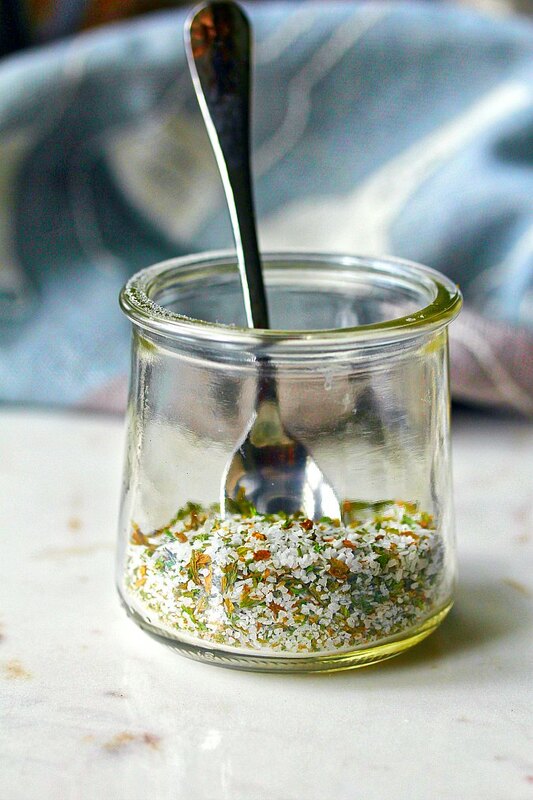 And I LOVE the tip about making celery salt from the leaves. Totally pinned that to try later! Celery is the most unappreciated vegetable. It has great flavor and negative calories! I am making this salad for lunch. I love the negative calorie part! Beautiful! How perfect for springtime! Goodbye to winter! Thanks Amy! This looks like a refreshing salad!